For our second assignment we were to create a simple application of digital or analog input and digital output. I choose to work with analog input and digital output because I was interested in using a potentiometer. 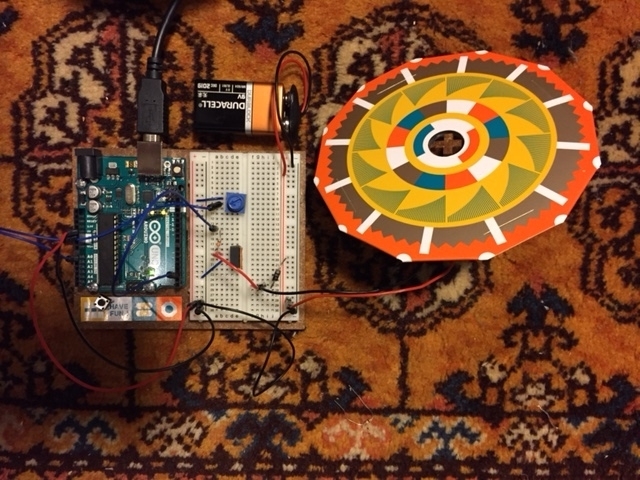 I used the resources and kit supplied in the Arduino Starter Kit and amped the Motorized Pinwheel (pg 95 in the Arduino Projects Book) that was originally controlled via a digital input (button) to a circuit that was controlled from an analog input (potentiometer). function to map the min and max numbers I observed in the Serial Monitor to reduce the speed, but I had no luck with that. I will ask the professor and report back once I have a better idea of how to tackle this problem.